The Loake Thirsk Boots are from Loake's premium 1880 range that emulates the way the company first manufactured its fine, handmade shoes more than 130 years ago. The Loake Thirsk Boots are from Loake's premium 1880 range that emulates the way the company first manufactured its fine, handmade shoes more than 130 years ago. Featuring Goodyear Dainite rubber soles and full leather lining, these brogue boots combine the comfort and versatility of a Chelsea boot with the sophistication of a brogue. 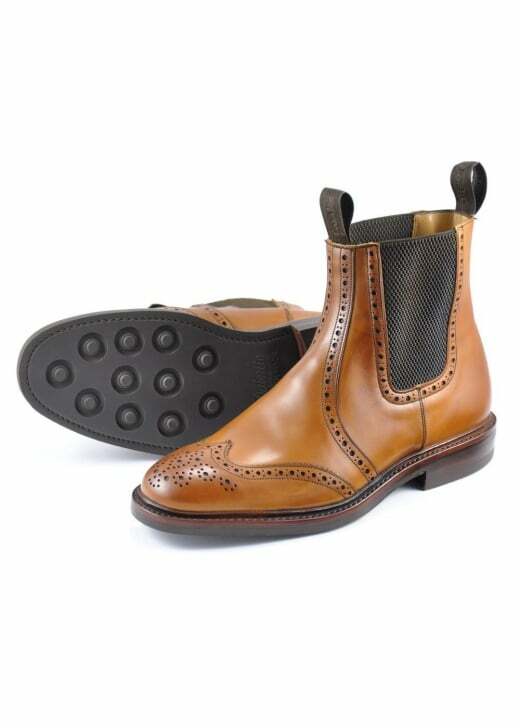 Showing our 4 Loake Thirsk Boots reviews with an average rating of Excellent. Great quality, smart boots which are always admired. These are beautifully made boots and I was very disappointed not to be able to get a size that would fit me comfortably. They were replaced by a pair of RM Williams Comfort Craftsmen boots with which I am delighted. Excellent pair of boots, looks amazing,feels light on the foot and very comfortable.Thank You.